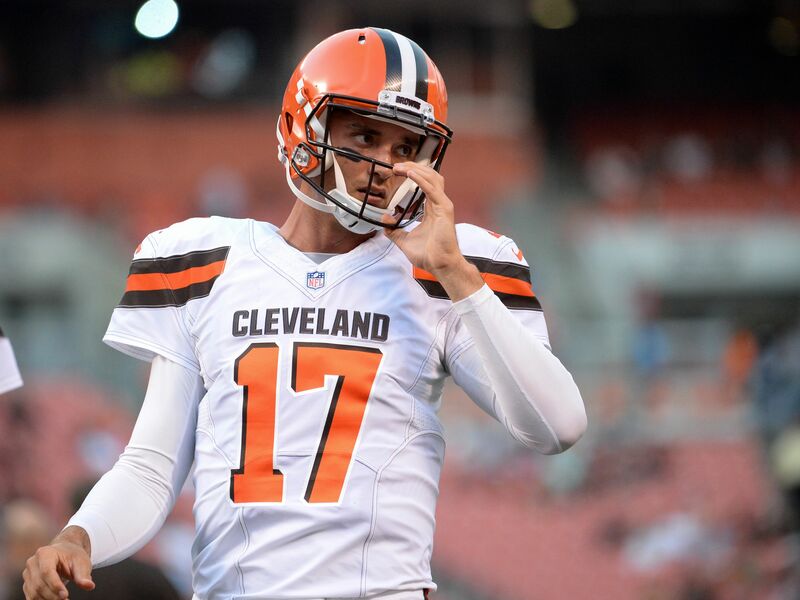 The Brock Osweiler era of Cleveland Browns football didn’t even make it to the regular season. The former Houston Texans starting quarterback has been cut. There was a time where former Arizona State Sun Devils starting quarterback Brock Osweiler was viewed as a franchise quarterback in the NFL. He was drafted by John Elway of the Denver Broncos to in theory be the heir apparent to Peyton Manning in Denver. Instead, Osweiler had other plans. He jumped ship in Denver as soon as he could, signing a four-year deal with the Houston Texans in 2016 NFL free agency. After one awful year quarterbacking the Texans, he was traded to the Cleveland Browns in a glorified salary dump. Now it seems that he might be out of the league. According to Matt Miller of Bleacher Report, Osweiler was cut but the Browns on Friday evening. Cleveland has already named second-round pick DeShone Kizer the Week 1 starter. Second-year player Cody Kessler will be his backup. Brock Osweiler has been cut, per sources. Osweiler has struggled with his accuracy since leaving Denver. He throws exclusively bullets out of the pocket that his receivers can’t always catch. At 6-foot-8, he might be a tad too tall to play quarterback in the NFL. To think Elway was about to hand him the keys to the Denver offense in 2016. Though Osweiler’s days in Cleveland are over, he might still be able to stick with another NFL team this season as a backup. Kizer might be the best quarterback talent from the 2017 NFL Draft. Maturity and issues with Notre Dame head coach Brian Kelly saw him fall to the top of the second round. While Kizer might be fed to the wolves under center for Cleveland, he did play collegiately in a pro-style offense in South Bend. Even his backup in Kessler offers better NFL upside than Osweiler. Kessler might be frail and lacks an arm to succeed in harsh northern climates. However, he is incredibly accurate and picked up head coach Hue Jackson’s offense very quickly as a rookie in 2016. Where will Osweiler land in 2017? Who knows?